DVD’s were a rage back when they were launched. An advanced drive, it had high storage capacity and were cost-effective. They caught hold of the market instantly and computer manufacturers started modifying their disk drives to support the new functionality. With time people started shifting to USB drives and online media. However, music and media companies still launch the original version of their films and music on DVD and they are excellent for long term storage. Windows Media Player is the primary media player for Windows and supports most codecs. However, to make sure they pack the most in minimum possible size, they keep removing whatever functionality they find redundant. Same is the case with DVD-based media. A DVD can store any form of file. However, there were some codecs which were specific to DVD drives which Windows Media Player does not support anymore. If you are playing the supported extensions like .mp3, WMP will play them fine. Else it might give an error. Windows instructs the Windows Media Player to accept or reject codecs by updating it. If files which worked earlier are not working now, it is because Windows updated WMP accordingly. As and when users report this problem to Microsoft, they will launch the correction in form of updates as well. Thus, our first attempt towards fixing the issue should be to update Windows and check if it helps. Since Windows Media Player is default media player for Windows systems, less of users bother to change it. This affects the business of third-party media player companies who try to push malware into the system in a manner that it affects the functionality of WMP and push users towards shifting to other players. Usually,this happens when users install media players or other software in their system. We could check for recently installed suspicious software and remove it. 1] Press Win + R to open the Run windows and type the command control . Press Enter to open the Control Panel window. 2] Go to Programs and Features. 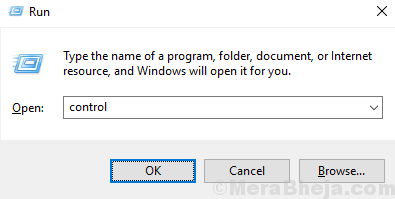 It will display the list of applications installed on your system. 3] Arrange the list in order of installation date by clicking on the column. 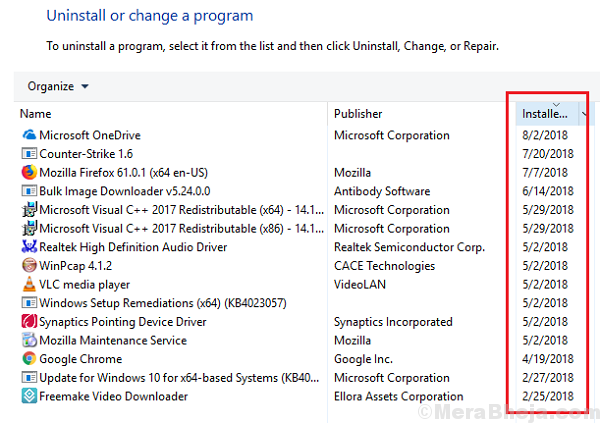 4] Right-click and Uninstall suspicious recently installed software on the system. At times, the sound drivers might not be updated even if WMP was in the ability to read DVD files. In the case, we could update the sound drivers and check if it helps. If the above steps fail, our last option to fix Windows Media Player would be to reinstall it. 1] Press Win + R to open the Run window and type the command control . Hit Enter to open the Control Panel window. 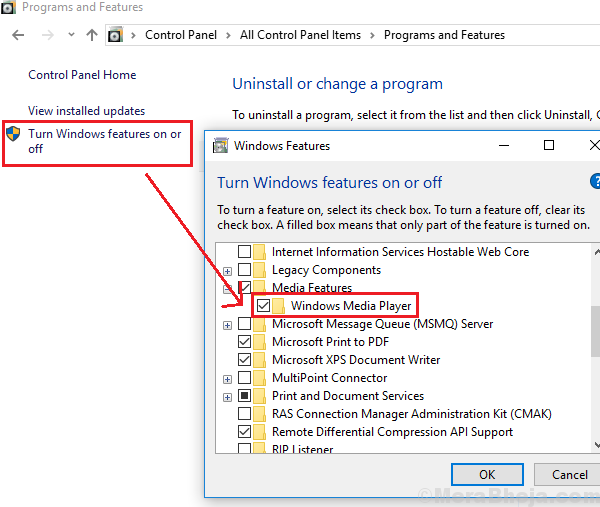 2] Go to Programs and Features and then click on the option on the right-hand side which says Turn Windows features on or off. If might ask for administrator permissions. 3] Go to Media features and expand it. 4] Uncheck the tick mark next to Windows Media Player and click on OK.